Facilities:105 bedrooms, 7 suites, butler service, colour satellite TV, electronic safe, DVD/CD player, minibar tea and coffee makers, marble bathrooms, access for the disabled, spa, Ayurveda therapy, fitness center, 5 meeting rooms, conference and banquet facilites. Services: 24 hours room-service, laundry, Doctor on call, Money Changer, Banking, Safe Deposit, Baby Sitting . The Amar Vilas Hotel Agra, is an Oberoi hotel and offers its guests the excellent standards of service and luxury that the Oberoi Group is known for. Designed by the leading Indian architect Prabhat Patki, the Oberoi Amarvilas hotel is a luxurious getaway fit for a Mughal Emperor. Amarvilas which means "Eternal Haven" in Sanskrit, is surrounded by lawns and waterways inspired by the plan of Mughal monuments. The mesmerizing Taj Mahal is only 600 meters away and each of the 105 bedrooms and 7 suites at the Oberoi Amarvilas offer stunning views of the Taj Mahal, along with ultimate luxury in their design and amenities. The interior of the Oberoi Amarvilas hotel is inspired by designs from traditional Persian and Moorish art. The entrance hall of the Oberoi Amarvilas hotel is a grand domed lobby with arched windows that offer beautiful views of the enchanting Taj Mahal. Pillars, stone bridges and fountains decorate the forecourt where guests enter the hotel, which is built to resemble a Mughal palace in Agra, India. What do you think about Hotel Jaypee Palace Agra? Stayed in this hotel since it came recommended by our travel agent. The check-in was quite painful since the front desk person had our citizenship entered wrong and told us the rate would change if our citizenship is different from what was entered when we booked. I found this to be absurd!! We had traveled by taxi from New Delhi and were quite tired (especially with 2 kids). Finally, after going back and forth, they gave the same rate that was originally promised. Overall, the check-in process took 40 minutes which was very annoying. This is a prestigious 5 star hotel and I expected better service. It is possible that our travel agent screwed up and hence I am willing to give the hotel the benefit of the doubt. The room was very nice and comfortable. Nice pool and very nice ambiance in and around the hotel. Staff were very courteous (even through the lengthy check-in process). This is a very nice and refreshing place to stay if you are visiting the Taj Mahal monument. In spite of our bad check-in experience, I would recommend this hotel to any one visiting Agra. I was in India for a study abroad and had stayed in a few other hotels before the Palace hotel. I loved it!! They made us feel welcomed and special. We were given flower necklaces on entrance and that was just the beginning. The rooms were very spacious and nicely decorated. The private balcony was very nice. I always felt safe here. They had many great resturants, a very nice pool, with nice grounds and they also had a small dance club/bar there. If your going to Agra, you should stay here and trust me you'll feel like you are truly at a palace. We booked through Savion Travel Agent Services because direct on-line booking was not possible. This was a big mistake. We found ourselves stuck between the hotel and the agent who both blamed eachother for not postponing our booking for24 hrs because our Qantas flight from Sydney was delayed by 1 day. We ended up receiving about 10 phone calls from the 'agent' assuring us that the hotel was being difficult and that they could help us if we made a new booking. The hotel charged our credit card with the full amount because they considered our request a cancellation. We are now in the process of claiming our money back via international default credit card claims.. It was all very annoying and unprofessional. There was not a single person in this situation who did not appear greedy and/or untrustworthy. A very disappointing experience. The minute you arrive you know it is a 5*star hotel the lobby is very nice the rooms moderns and very clean the bed is very confortable. the staff is very professionnal breakfast and the buffet diner were also very good. The pool aerea is beautifull with all the gardens around the attendant at the pool was very attentive. We stayed 2 nights and we enjoyed every minute . Stayed at the Jaypee for 2 nights over the 7th and 8th of April. We had a wonderful room with an extra camp bed for our 8 year old daughter. Staff where very friendly and helpful. Food was good, the outdoor pool was fine and the grounds are wonderful. The Hotel was actually very quiet and so we managed to negotiate a great deal. For our daughter this included a 500 IR voucher to spend in the games room (10 pin bowling, air hockey, arcade games). We would certainly go back to this Hotel the next time we are in Agra. From the moment you walk into the lobby, you know you got it right. The staff are very friendly. The lobby is so beautiful, it's all marble. The rooms are so clean, organized, and nice. The restaurants are fantastic esp the buffet one. The spa is so great. This is the best spa I've been to in terms of cleanliness, price and service in India. The only thing is that in Agra, there is nothing really to see besides the Taj so most people just stay here for a day. Rooms are very elaborate, but directions to them are poor. Took me about five minutes to get back to lobby. So the bed is hard....better than too soft. Dinner and breakfast were good, but extra soft drinks, lassis exorbitant. Like 10 X the cost. Wonderful large bath and all the extras. In all, beautiful hotel. We stayed here with a tour group along with many other groups of various nationalities. The hotel is impressive and quite large, catering as it does for tourists visiting the Taj etc. The room was large, clean and well equipped; the food was the usual buffet at both dinner and breakfast with a good choice of both Indian and western dishes. service was friendly and efficient. The grounds looked very appealing but we did not have the time to explore them. A superior tourist and business/convention hotel. My girlfriend and I stayed here for two nights at the end of February. The main reason for visiting Agra is to see the Taj Mahal, and this hotel is located about 4 - 5 kilometres away. The hotel itself is very large and it is quite easy to get lost finding your way back to your room until you've been there for a day or so. There are a number of restaurants all serving a variety of Indian and continental food. The pool area is picturesque and well maintained, as are the hotel grounds and gardens. Quite simply, this hotel is everything you'd expect from a modern 4 - 5 star hotel anywhere in the world. If I had to say anything bad about it, it would only be that it perhaps lacks a bit of the character and charm that some of the other hotels we stayed at during our holiday had. The bar prices were also the most expensive of all the hotels we stayed at, although they did keep supplying us with free crisps and peanuts all night! Overall, I have no hesitation in recommending this hotel. 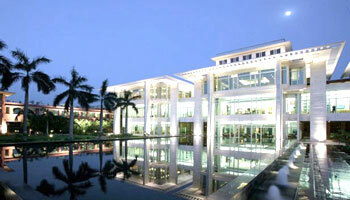 I went to Delhi/Agra 26th Feb to March 5th 2008 and whilst in Agra stayed at the Jaypee Palace Hotel (5* Hotel). The rooms, decor and service were top class. I wouldn't hesitate in recommending the hotel. The wide choice of restaurants on offer was excellent e.g. bbq at the poolside, to intl. buffet, Mughlai food. I had an excellent time and look forward to going back soon. San Jose Nov 22, 2007 : "View worth the money!" This was the most expensive hotel of our whole India trip but the view from our room and the room balcony was worth it. Sitting on the balcony and taking in the Taj Mahal view will stay with us forever. We were very impressed by the hotel itself, the large and clean room, the incredible service and the nice facilities. The hotel pool was very nice. The food was very good. The staff were helpful and friendly. Tess, UK Nov 19, 2007 : "What a view!" I travelled to India to celebrate my 40th birthday, and wanted to spend the actual day and day after in Agra. I would agree with the person that said the main attraction of the hotel is the view of the Taj Mahal.The room amenities were excellent, but completely overshadowed by the view out the french doors! A really nice touch was the delicious birthday cake and candle the hotel provided. The hotel also provides "golf buggies" to transport you to the Taj Mahal since motor vehicles are not allowed near it. Janet, Oundle, UK Nov 14, 2007 : "Beautiful Amarvilas." The Amarvilas was the second of five Oberoi Hotels on our recent trip to India. It was a charming hotel, and the views of the Taj just wonderful. The Taj Mahal was the highlight of our trip,(didn't think it would be, but it was) just mindblowing, and to be able to see it from your room is truly wonderful. There cannot be many better views in the world. The hotel was a lovely oasis amongst the chaos of Agra, and we could not fault it. The staff were friendly and efficient. The rooms spacious and comfortable and everything you would expect from the high standards of Mr. Oberoi. The pool and grounds were beautiful, and having the Taj as a background was just magical. It was a lovely touch being taken as far as vehicles are allowed by golf buggy. We loved Agra, and we loved the Amarvilas, and would not hesitate to recommend it. PS - do not miss the 'baby Taj'. It was built before the Taj Mahal, and has the great advantage of being very peaceful., as so few people seem to go. All in all a wonderful experience. Chicago Nov 11, 2007 : "wow......."
The hotel is everything you expect for the price and luxury. The hotel is beautiful and the rooms are great. The views are spectacular (but no view at night since the Taj is not illuminated) . Our only regret is that we did not spend an extra night here to enjoy the beautiful view and pool. Be sure to visit Itmadullah’s Tomb the “baby Taj Mahal” when you are in Agra, it’s beautiful and there are almost no tourists. If you like staying at fancy hotels and can afford it you won’t regret staying here. Jason, Silsbee, TX Oct 28, 2007 : "Awesome Place!" This place is great. The view is worth the money. It is unreal. BTW, Mike Jagger was staying while we were there, thought that was kinda neat. I can't think of a better place.